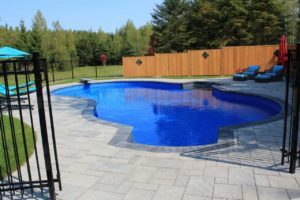 We are an award winning family business founded on 3 generations dating back to 1971 and experts of in-ground and on-ground swimming pool installations in Ottawa. 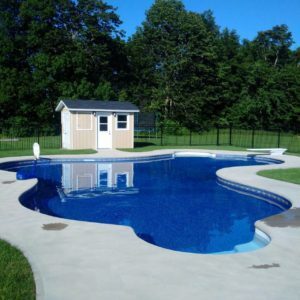 We specialize in vinyl liner in-ground pool design, sales, and construction as well as pool opening and closing services. 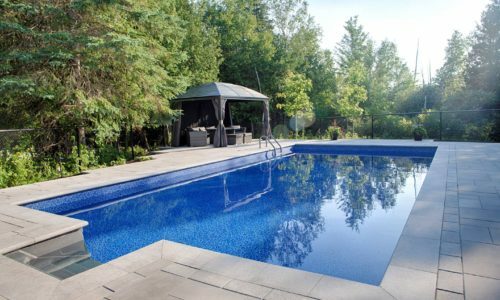 Since our start more than 44 years ago, we’ve built over 2,000 pools in Ontario! We bring a professional build and industry knowledge to every project we complete. 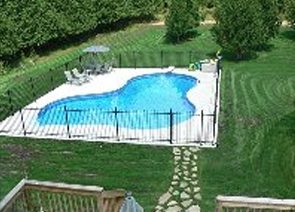 We are so happy with our in-ground pool from Pool builders!! We were so exited throughout the process and no matter what our questions were, Pool Builders always answered our questions. From the beginning of the project to the final touches, our backyard transformed into a dream backyard where we can spend quality family time. 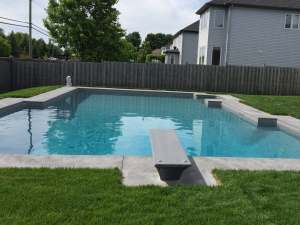 We had such a great experience with Pool Builders. From our first contact with project manager Shanelle, to our quote/plan with Dominic and then to Bob and the crew, it was a pleasure to deal with the whole Grandmaison family. The job was done on budget and on time. Knowledgeable, hardworking and conscientious. We would highly recommend Pool Builders to anyone. We want to thank Pool Builders for such a beautiful set up. A professional team and always available for questions and support. 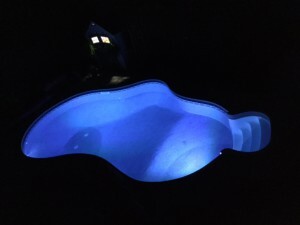 We are so pleased with our pool and enjoyed it from May to October this year. 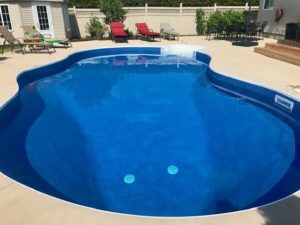 We had a fantastic experience with Pool Builders. They had great ideas; all team members were very professional and kept to the promised schedule. Would highly recommend their services. 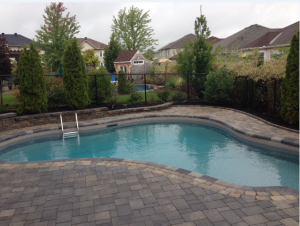 We are thrilled with our new pool and service by Pool Builders. It has transformed our backyard into a vacation resort, a place for relaxation and fun. Shanelle provided top notch advice and guidance and most importantly, she was patient! The entire project was kept on track, despite the unusual wet weather we experienced this spring/summer. This is a testament to their experience and expertise. 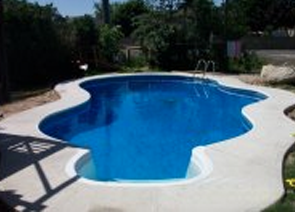 Without hesitation, we have recommended Pool Builders to friends, family and colleagues. Thank you for providing us with a ‘WOW’ result and customer experience. We look forward to the years ahead enjoying the pool. 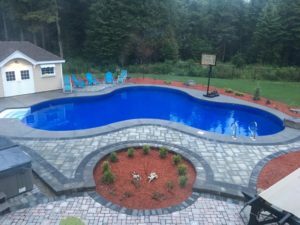 Thank you so much to Pool Builders for their professional and friendly service while building and installing our pool this past spring. We love the finished product and have enjoyed it all summer! 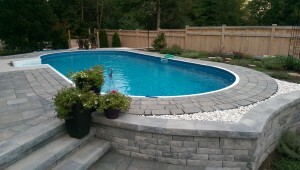 It was so great how well Pool Builders, with Shanelle as our main point of contact, communicated with our landscapers. It made the process low stress and helped when there were weather delays. Thanks so much for our wonderful Pool! 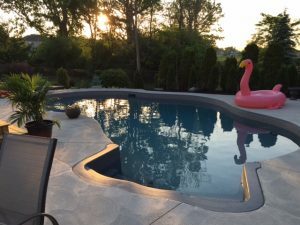 I cannot say enough good things about Pool Builders! They have made my family's dream come true by installing our amazing in ground pool! From start to finish, they have been extremely professional, knowledgeable, easy to deal with and quite frankly, amazing!!! 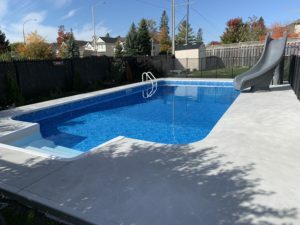 I would definitely recommend Pool builders to make your dream come true as well! 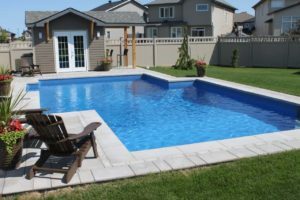 We are very happy to have chosen Pool Builders for our backyard project. 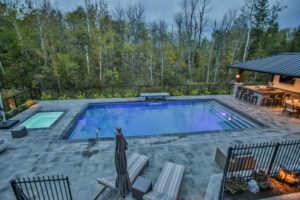 The property posed a couple of obstacles, but the Pool Builders team was helpful, diligent and professional during each construction phase. 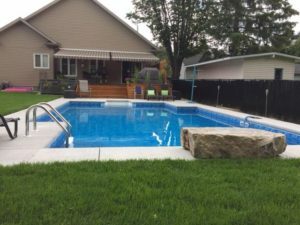 We are enjoying and will enjoy this new oasis, thanks to the nice folks at Pool Builders. Thank you very much for the beautiful pool and the attention to details. Pool Builders were on time for building our pool and always were attentive to any questions we had. 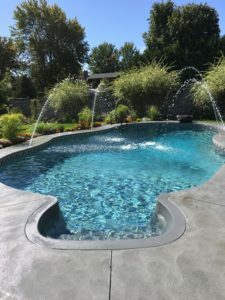 We met with 6 different companies when planning our pool installation, and Pool Builders was the obvious choice for us! Not only were they the best price, but they were helpful, professional, and informative from the start. Shanelle and Dominic were a pleasure to work with throughout the installation process, and we couldn’t be happier with the final result! Thank you Pool Builders! 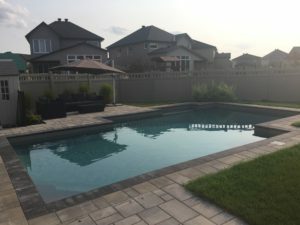 Working with Pool Builders was a fantastic experience! 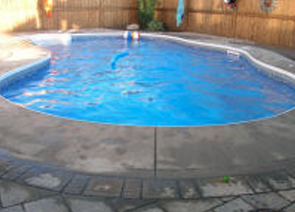 I would have no hesitation in recommending Pool Builders to anyone looking for the pool of their dreams. 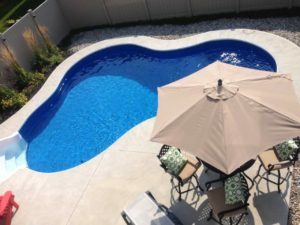 Pool builders did an exceptional job from start to finish. I was impressed at how quick that everything was and the open communication when I had any questions. I would highly recommend them to anyone I know. 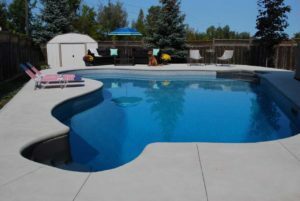 We just LOVE our pool from Pool Builders! We are really happy with our new pool. We enjoy every minute of it. The whole experience was great, every step went smoothly with Shanelle's help. We couldn't pick a better company for our beautiful project. Thank you Pool Builders! 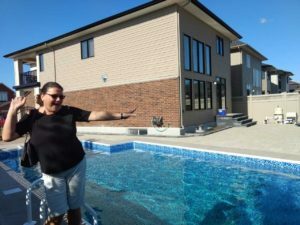 The first time we met with Josée, we KNEW that Pool Builders was the right company to build our dream pool. She was so knowledgeable, friendly, and professional. The rest of the Pool Builders team was just as awesome as she was! 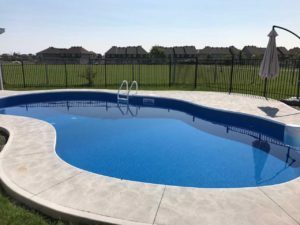 The project was managed so well and the team did a stellar job of designing and installing our pool and getting us ready for the summer fun. We've recommended PB so many times to others...in fact, our neighbours next door just had them install their own dream pool a few weeks ago! 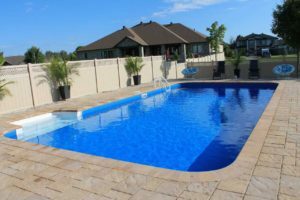 We had a fantastic experience with Pool Builders, they were professional from beginning to end and delivered exactly what was expected. They had several skilled teams of people who would come in and out as the job progressed. It seemed like everyone knew what they were doing even in large swarms of activity. We would highly recommend Pool Builders to anyone and if we ever move we would absolutely use them again. You guys have really gone above and beyond to ensure that everything is made right!! I'll thank you and Bob in person for your professionalism but I want you to know that it is very much appreciated as we bring this all to a close. We're very happy with everything and will always be a strong reference for you in the future should the need arise. Thanks again. 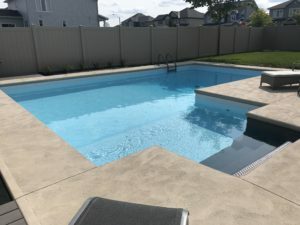 First wanted to thank you all for the hard work getting the job done (especially in the heat) - overall we're very impressed with Pool Builders and would definitely recommend you to others. 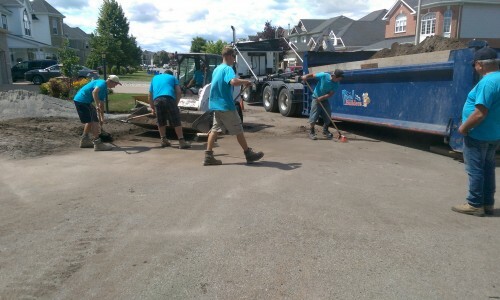 We were very pleased with how you handled our concerns during the installation. Also, having you available as a point of contact made all the difference. 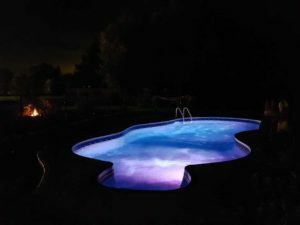 Comments from our friends that have had pools built that had issues with communications made us realize how well your company is organized. 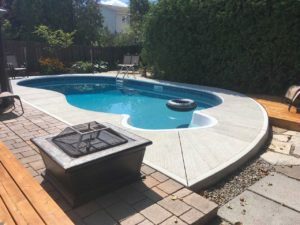 This summer we’ve decided to install our first inground pool! 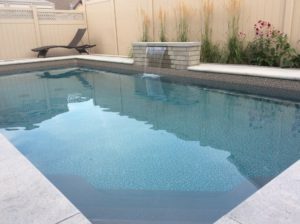 Thanks to Pool Builders the experience we’ve had during this process was wonderful. Outstanding service, very professional and experienced team, exceptional customer care. 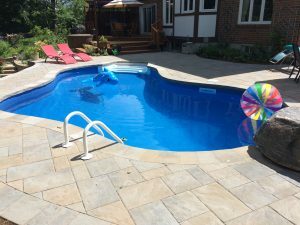 Thank you Pool Builders, it was a great pleasure dealing with you. My husband and I were so impressed and happy with Pool Builders. They kept to their schedule, they kept us informed every step of the way. They have a very competent team of people very easy to deal with. 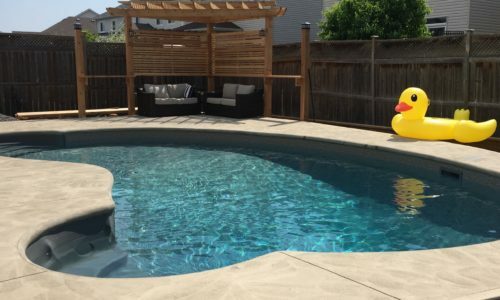 We would definitely recommend Pool Builders to our friends and family. 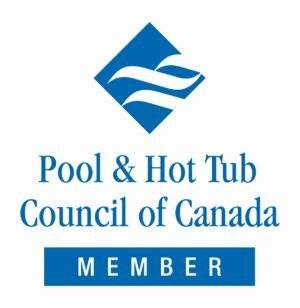 I’d like to take this opportunity to say thank you to everyone at Pool Builders for a fantastic experience and making a lifelong dream of being a pool owner come true! From our first conversation with Josée to post sales service with Shanelle, and every point in between, the customer service was remarkable. Communication, professionalism and patience were cornerstones of the customer service experience. We were always able to reach someone the same day a question arose, and all of our questions were answered with patience. Many thanks for the fantastic experience that equals our beautiful new backyard oasis. 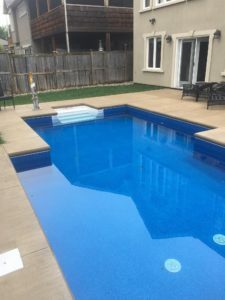 I highly recommend Pool Builders for your pool. From their prompt responses to their knowledgeable staff they get the job done, Well! 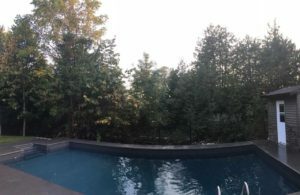 Thank you to the team at Pool Builders my backyard oasis is fabulous! Our experience with Bob and his team was very satisfying. The team demonstrated pride, devotion, expertise and commitment in their work. They were very respectful around the work site, even though they worked long hours in very hot weather. 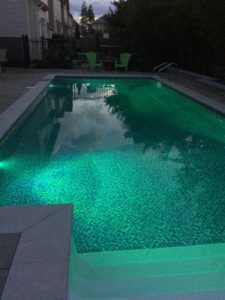 The end result was a very beautiful pool which we have enjoyed for the past 4 years without any complications. We love it and we were very happy that we chose Bob to build our backyard oasis. 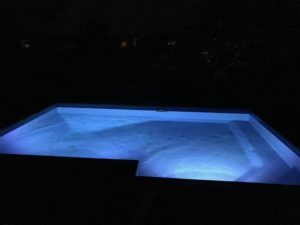 From the minute we called Pool Builders, we knew we were dealing with professionals. Bob and his team were awesome! 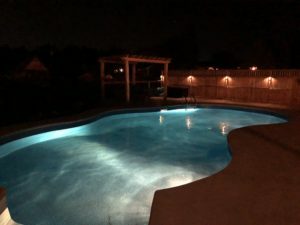 They did an amazing job on our pool. 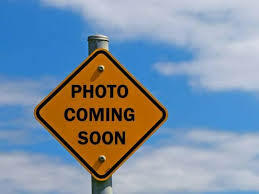 Not only do we recommend them to everyone we meet, we also love showing off our pool to potential clients. Pool Builders are #1 in our book.